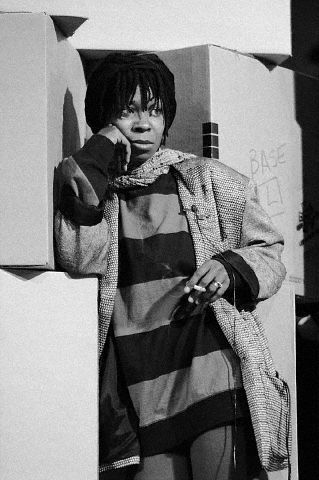 Whoopi Goldberg. . Wallpaper and background images in the Whoopi Goldberg club tagged: whoopi goldberg blackwhite. This Whoopi Goldberg photo contains surcoat and sobretudo. There might also be tabardo and tabard.